Home CRM 101 Mail Merge in CRM 2011 10 people are discussing this now. We’ve talked about what to do in Microsoft Dynamics CRM when you find yourself typing the same email over and over (Create an Email Template!) but what about a letter? If you frequently send out a similar letter to Leads or Contacts, chances are you could use the help of Mail Merge in CRM 2011! Let’s say part of the qualifying process to convert a Lead to an Opportunity is that the Lead send back an application letter. The easiest way to generate and distribute that letter while utilizing your data in CRM is to use a Mail Merge template. The process takes a little time up front – but it’ll make sending out the letter in the future a lot easier! Create a View in CRM using Advanced Find to capture your mailing list. Example: All Open Leads where Status Reason equals SendApp. Navigate to your View in CRM, select your Leads and click Mail Merge on the Add tab. Complete the Mail Merge screen, selecting Blank document and adding the applicable Data Fields for future use. Click OK and you will be prompted to open a copy of the Mail Merge doc. Enable editing and macros and navigate to the CRM button on the ribbon. Note: If you read the Header, Microsoft will explain! Insert your logo, text and Merge Fields. Save the file as an XML document (.xml) so you can upload as a template later. At this point you can Finish & Merge and mail your letters! To close the loop on this process, you could create an on-demand Workflow to update your records after the mailing is complete. See our blog on Workflows and Dialogs. Navigate to Settings>Business>Templates>Mail Merge Templates and click New. Complete the Mail Merge Template screen, attach the template you just created in Word (.xml) and Save the Mail Merge Template. 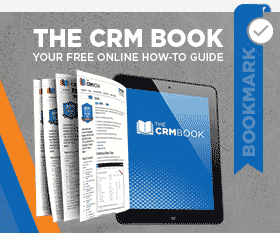 Navigate back to your View in CRM and click Mail Merge on the Add tab. This time select Personal Mail Merge Templates and you will see the template you just created. Click OK and move through the Mail Merge process. Hopefully the Mail Merge functionality in CRM Dynamics 2011 can make sending those letters a little easier! Want to know what else you can do with it? Here’s a neat trick to use Mail Merge to post a note to multiple records. by Joe D365	November 14, 2012 10 people are discussing this now.